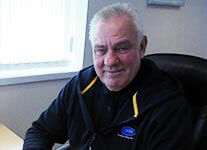 Paul has owned CWM for over 11 years, having always worked within the Motor Trade Paul has over 30 years of experience which includes running multi franchise sites for Rover Audi and VW. 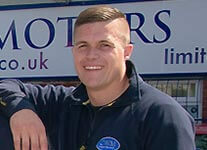 Paul is passionate about delivering memorable customer service to each and every customer who buys a car from CWM. Paul runs his business leading by example ensuring his team are always pleasant and professional, happy team equals happy customers. Paul enjoys spending quality time with his family. Please contact Paul on 07940 741981. Lorraine is co owner of CWM and has worked within the Travel Industry for over 20 years covering various roles from sales to management. Lorraine always strives to GO THE EXTRA MILE with all our customers at CWM to ensure they have the best experience possible when buying their car. 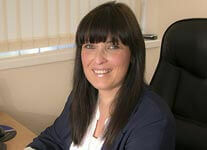 Lorraine looks after the accounts within the business along with taking care of the marketing and social media. Lorraine enjoys spending time with her and Paul's three boy's holidays and family days out, plus a few Vodka Lime and Sodas with her chums. Dave has over 25 years experience within the motor industry ranging from sales roles through to management. Dave has worked mainly within the franchise network working with VW, Ford and Mercedes and is experienced in all levels of customer service with the ability to help find the most suitable vehicle for all our customers, Dave will ensure you have the most memorable experience when choosing your next car. Dave enjoys spending time touring the country in his caravan. Please contact Dave on 07720 297057. 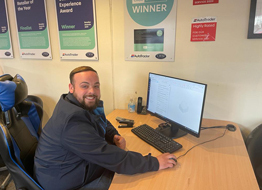 Jake has been a member of the Team for almost 5 years now and has progressed in all aspects of Car Sales since starting his NVQ Level 2 Apprenticeship in Customer Service. Jake prides himself in delivering a great customer experience from Meeting to Driving Away and beyond. Jake enjoys spending time with his partner Laura and has recently become a Dad to a beautiful baby girl. Please contact Jake on 07703 786678. Ash is the man who can at CWM anything that needs fixing on your car before it's delivered to you Ash is the man for the job. 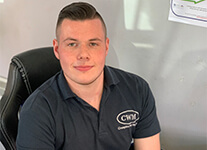 Ash has been part of the team at CWM for over nine years he has completed all levels of his NVQ and is a fully qualified technician and a real asset to the CWM team. Ash loves to spend time with his lovely wife, daughter and son. 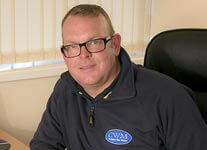 Dave has been part of the CWM team for over seven years. 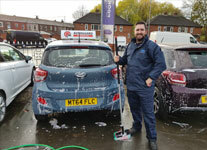 Dave takes great pride in making sure each and every car is valeted and finished to the highest of standards prior to you collecting your new pride and joy. Dave does a great job in ensuring all our cars are delivered in tip top condition. Pete is our site maintenance man he keeps our office and pitch in tip top condition, any odd jobs around the dealership that need attention Pete is the man for the job. Pete has been part of the team for over a year now. Pete enjoys eating out and visits to the cinema. Braden has been part of the team for two years. Braden has recently completed his NVQ Level 2 Apprenticeship in Customer Service, we are really looking forward to watching Braden develop into his new role of full time salesman. Braden enjoys participating in sports and martial arts along with socializing with his friends. Please contact Braden on 07463 640120. Easy, simple process for buying a car. Would recommend to anyone. In fact my wife is now looking at a car here!